George Lucas has announced that every Star Wars movie will be released on Blu-ray next year. Star Wars is what one might call a very popular franchise, and would probably sell if it was re-released as a black and white silent film, so it's surprising that we haven't seen any of the movies released on the high definition Blu-ray format yet. According to George Lucas, he just wanted the format to become more widely adopted first, as he announced today at the Star Wars Celebration V that all six Star Wars films are coming to Blu-ray next year. And what better to include on the Blu-ray release of Star Wars than deleted scenes that nobody has ever seen before? One such scene from Return of the Jedi was shown to the Celebration's crowd, which shows Luke making his first appearance in the film. Darth Vader reaches out to Luke through the Force, while Luke is shown in a dark robe assembling his lightsaber. It was meant to make viewers wonder if Luke had gone over to the Dark Side, but when he flips on his lightsaber and it glows green they would have known he did not. StarWars.com reports that what makes the scene so "remarkable is that it made it all the way to post-production before it was cut, so it is a rare example of a cut scene with completed visual effects and music." 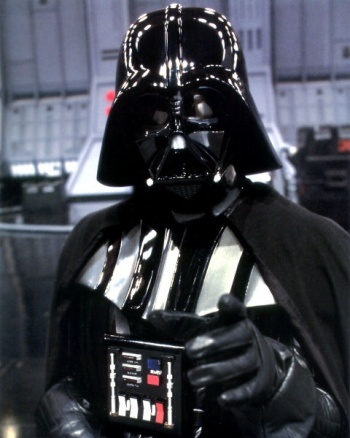 The Blu-ray releases of Episode IV, V, and VI will not be the original versions, but the remastered special editions. Lucas told the New York Times that to release the original versions would be too expensive, and "kind of an oxymoron because the quality of the original is not very good." Lucas also said that his team is still working on additional Blu-ray features. The six films will be released as a box set in 2011, though no price has been announced. The deleted scene from Celebration V was uploaded to YouTube (and can be found below), but don't expect it to last forever.